Under the cover of the Mumbai catastrophe, India began a deliberate propaganda campaign against Pakistan and tried to isolate the latter in the comity of nations by showing that Islamabad was sponsoring terrorism in India. In this regard, Indian former Prime Minister Manmohan Singh and its other high officials, while repeating old rhetoric of baseless allegations, stated that Pakistan has “epicenter of terrorism” and Islamabad should “end infrastructure of terrorism.” L.K. Advani, leader of the BJP, while accusing Pakistan as the hotbed of terror in the region, said that Pakistan’s secret agency ISI should be declared a terror outfit. In this respect, Indian top officials and TV channels had remarked that Indian Mujahideen and the banned Lashkar-e-Tayba based in Pakistan and ISI were behind the Mumbai terror attacks. 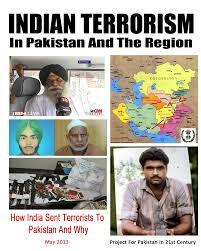 With the assistance of Indian secret agency RAW, Indian investigators fabricated a false story that 10 terrorists who executed Mumbai carnage came in a boat from Karachi and were in contact with the members of the banned Lashker-e-Taiba through phone calls. But a number of questions arise in relation to the so-called links, deliberately entangling Pakistan. First, how it is possible that the militants phoned 100 times inside Pakistan, but they did not call their families? Second, the lonely gunman Ajmal Kasab who was arrested, knew his address and why he did not indicate the names and home addresses of other 9 fugitives with whom he lived for a long time? Third, after the hard journey of more than 50 hours, traveling on the slow moving water, evading 20 coastal guards of Indian Navy, how they reached Mumbai? Fourth, where did they change their muddy shoes and wet dresses? Fifth, how it became possible that they immediately hired a taxi and reached their targets, without taking some rest? Sixth, why the terrorists killed only four people at the Nariman house, sparing the other six guys present there? Availing the pretext of the Mumbai catastrophe, New Delhi had suspended the process of ‘composite dialogue’ in wake of its highly provocative actions like mobilization of troops. Islamabad had also taken defensive steps to meet any Indian prospective aggression or surgical strikes. But, India failed in implementing its aggressive plans, because Pakistan also possesses atomic weapons. However, in the post-Mumbai terror attacks, Indian rulers had started blackmailing Islamabad that they would not resume the talks unless Islamabad takes actions against the culprits of Mumbai mayhem. New Delhi urged Islamabad to arrest the perpetrators of the Mumbai terror attacks. Rejecting Pakistan’s stand that its government or any official agency was not involved in the Mumbai attacks, New Delhi wanted to make Islamabad accept all other Indian demands since our rulers admitted that Ajmal Kasab was Pakistani national. In fact, Islamabad’s admission which had emboldened New Delhi was forced by the US. And, Ajmal Kasab was tortured by the Indian intelligence agencies so as to endorse Indian false story against Islamabad, while giving statement in an Indian court. Suppose, even if he was Pakistani, it did not matter because he was a non-state actor, as non-state actors like smugglers and the militants are found in many countries. It is of particular attention that on July 19, 2013, the Indian former home ministry and ex-investigating officer Satish Verma disclosed that terror attacks in Mumbai in November 26, 2008 and assault on Indian Parliament in January 12, 2001 were carried out by the Indian government to strengthen anti-terrorism laws. It has clearly proved that Indian secret agencies; particularly RAW arranged coordinated terror attacks in Mumbai and orchestrated that drama only to defame Pakistan in the world, but also to fulfill a number of other aims. It is notable that renowned thinkers, Hobbes, Machiavelli and Morgenthau opine that sometimes, rulers act upon immoral activities like deceit, fraud and falsehood to fulfill their countries’ selfish aims. But such a sinister politics was replaced by new trends such as fair-dealings, reconciliation and economic development. Regrettably, India is still following past politics in modern era. It is mentionable that during the talks between the prime ministers of India and Pakistan, at Ufa, Islamabad has conveyed to New Delhi a comprehensive agenda to discuss all outstanding issues, including Kashmir as well as terrorism. But, New Delhi’s insistence to restrict the agenda for the dialogue to terrorism or cross-border terrorism only, demonstrated India’s confused policy towards Pakistan. Indian foreign secretary level talks were held in Islamabad on March 3, 2015. In this context, Indian External Affairs Secretary Subrahmanyam Jaishankar and Pakistani Foreign Secretary Aizaz Ahmad Chaudhry discussed contentious issues including Jammu and Kashmir, Siachen, Sir Creek and other bilateral issues. While, last year, India postponed the Secretary level talks with Pakistan; under the pretext that during his Indian visit Sartaj Aziz met Kashmiri leaders. In fact, a lack of seriousness on India’s part to settle all disputes, especially Kashmir issue has compelled New Delhi to follow a self-contradictory and confused strategy towards Islamabad. Hence, New Delhi earnestly found various pretexts to cancel peace talks, while shifting the blame to Islamabad. For example, besides Mumbai attacks, in 2002, under the pretension of terrorist attack on the Indian parliament, India postponed the dialogue process. Particularly, on May 27, 2014, Indian Prime Minister Narendra Modi’s meeting with Pakistan’s Prime Minister Nawaz Shariff in the oath-taking ceremony proved faultless, because Modi raised baseless issues like terrorism as pre-condition to advance the Pak-Indian dialogue. He said that slow pace of trial against the terrorists of the Mumbai 26/11 terror case; being held in Pakistan is main hurdle. As regards the case of cross-border terrorism, India has shown ambivalent approach which can be judged from various recent developments. In this connection, on July 27, 2015, three gunmen dressed in army uniforms killed at least seven people, including three civilians and four policemen in the Indian district of Gurdaspur, Punjab. Besides, in the recent past, prior to the US President Obama’s second visit to New Delhi, Indian intelligence agencies orchestrated a boat drama to defame Pakistan, allegedly reporting that a Pakistani fishing boat as a Pakistan-based outfit group Lashkar-e-Taiba was intercepted by Indian Coast Guards, off the coast of Porebandar, Gujarat. And Indian Coast Guard crew set the boat on fire and it exploded. But, its reality exposed Indian terrorism, because, some Indian high officials admitted that there was no such boat which came from Pakistan. Similarly, India intends to obtain various hidden purposes by blaming Islamabad for terrorism. First of all, it wants to divert the attention of the international community from the involvement of RAW which has well-established its network in Afghanistan, and is fully assisting cross-border incursions and terror-activities in various regions of Pakistan through Baloch separatist elements, Jundullah and Tehreek-e-Taliban Pakistan (TTP) including their affiliated outfits. On a number of occasions, these insurgent groups claimed responsibility for their acts of sabotage. It is worth-mentioning that Pakistan’s Chief of Army Staff General Raheel Sharif accompanied by the DG of ISI went to Kabul on December 17, 2014. During his meeting with his Afghan counterpart, President Ashraf Ghani and the ISAF commander, he presented the evidence of linkage between the massacre of children at Peshawar school and TTP sanctuaries in Afghanistan. He also asked about action against the TTP and handing over of its chief Mullah Fazlullah to Pakistan. It is regrettable that New Delhi is destabilizing the regional countries in general and Afghanistan and Pakistan in particular. In order to obtain its secret designs, aimed at augmenting Indian hegemony in the region, India is foiling the peace process between Afghanistan and Pakistan by managing terrorist attacks like the recent ones in Afghanistan which revived old blame game against Islamabad. And, waging a prolonged war in Afghanistan, the US and other NATO countries have realized that after the withdrawal of foreign troops, Afghanistan would be thrown in an era of uncertainly and civil war. They recognize the fact and terrorism or stability in Pakistan and Afghanistan is interrelated. Hence, US-led developed nations which also spent billions of dollars for the development of Afghanistan have repeatedly agreed that without Islamabad’s help, stability cannot be achieved there. In this regard, a meeting was hosted by Pakistan between the Afghan officials and representatives of Tehreek-e-Taliban Afghanistan in Murree (On July 8, this year) and dialogue were conducted for an Afghan-owned peace and reconciliation process, while the representatives of China and America also participated in the meeting. In this backdrop of growing engagements of Pakistan, Afghanistan, China and US, Indian desperation in Afghanistan is increasing. Moreover, New Delhi is trying to sabotage the China-Pakistan Economic Corridor (CPEC). Recent terror-attacks in Pakistan and Balochistan might be noted as instance. Indian RAW has also created a heavily funded China-Pakistan and Afghanistan specific desk to target growing Pak-China-Afghanistan relations. Furthermore, on the direction of the Indian leader of the fundamentalist party BJP and Prime Minister Modi, Indian forces have accelerated unprovoked shelling across the Line of Control and Working Boundary, while creating war-like situation between Pakistan and India. Notably, Islamabad has raised the question of Indian cross-border terrorism and RAW involvement in Pakistan at the UNO forum, with strong evidence which was also shown to the US. 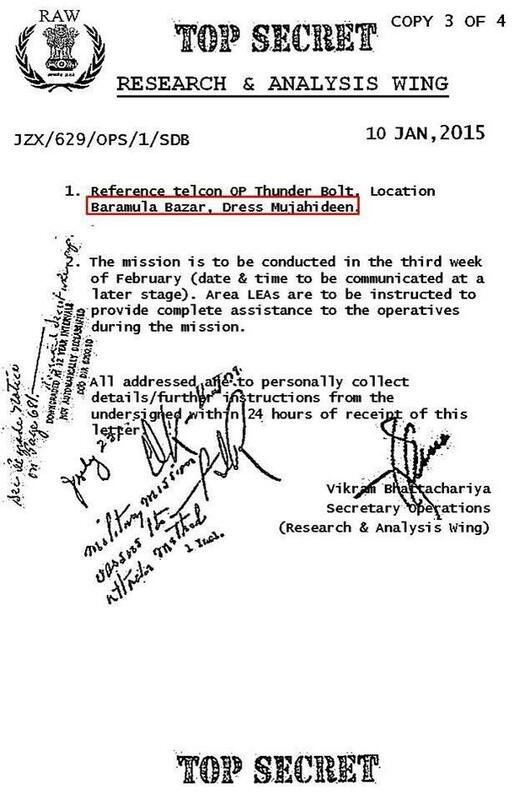 Without any doubt, we can conclude that Mumbai attacks of November 26, 2008 were arranged by Indian RAW.